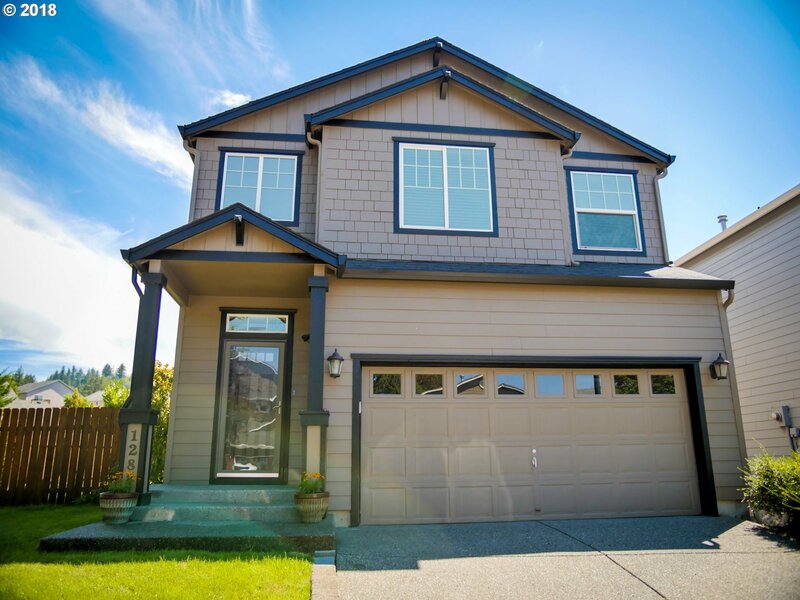 Great Sunset Ridge home...shows like new and move-in ready! Many updates including new carpet, new exterior paint, and custom blinds. Great room concept with 9' ceilings, open kitchen, & gas fireplace. Master bedroom features vaults, private balcony & generous master bath with walk-in closet. Gorgeous fully fenced backyard with mature landscaping & sprinkler system. Neighborhood clubhouse, pool, gym, parks, & more! Just 25 min to PDX.